It is a pleasure to share with you our annual review of the Mid-Town Direct Train Line residential real estate market and surrounding towns. With 2017 in the books, we have completed extensive research and analysis on the state of the market over the past year, as well as insight into the trends for 2018. We’ve broken down each town by price bracket to give you, the local homeowner, a true sense of the real estate market for your home. We hope you find this information useful, and that you will share it with your friends and family. We are happy to report that the trend for New Jersey and New York City economic growth continues. This is especially evident along the Mid-Town Direct Train Line, which includes the towns of Chatham, Madison, Maplewood, Millburn, New Providence, Short Hills, South Orange and Summit. This is due to the direct access that the Mid-Town Direct Train provides. Additionally with national unemployment at low of 4.1%, we continue to see more and more individuals seek the dream of homeownership, typically coming from Hudson County, or New York City. They are drawn to our area for the exceptional school districts, ease of commute, and the amazing lifestyle that our towns provide. The average price point in these towns dipped slightly by .35% or roughly $2,200 lower than 2016. We attribute this to the slowing luxury market which was soft for the better part of Q3 and Q4 of 2017. Luxury homes that were prepared for market, and priced for the shift, continued to sell at the pace we have seen in 2015 and 2016. 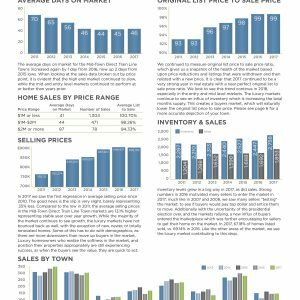 One important trend is the drastic increase in inventory which grew by 311 homes, which is the largest year over year growth we have seen in the past 7 years of creating this report. 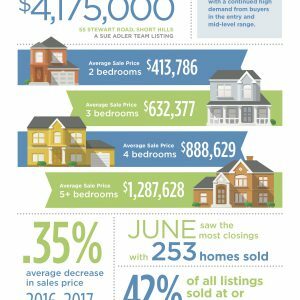 This is likely due to the strong market we saw in 2016, which enticed sellers to get into the market in 2017. With the rise in inventory we also saw a growth in sold homes by 161. This means 67% of all homes listed sold in 2017, compared to 69% in 2016. There are buyers looking for homes in all price points, so if you, or someone you know, has been considering selling, now is still a great time. 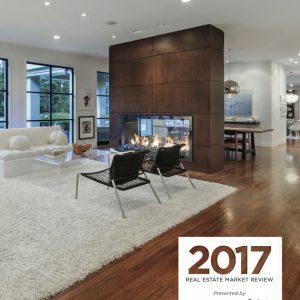 On a personal note, The Sue Adler Team is very grateful for having been able to help 200 clients move forward in their lives in 2017, which was not only our best year ever, but got us attention from Barbara Corcoran, who publicly is endorsing us as the go-to agents in our Mid-Town Direct Towns! For the 4th year in a row, we were the #1 producing Real Estate Team in the state of New Jersey, and received over 50 five star reviews on Zillow, Trulia, Google, and Facebook in 2017. We helped Downsizers, Upsizers, Relocation Buyers, and Sellers, Urban to Suburban Buyers, Suburban to Urban Sellers, Tear Downs, Estate Sales, Builders, and Investors. We outperformed the market and sold 54 of our 90 listings at or above list price, with an average of 36 days on market. 100% with over 30,000 people voting for their favorite charity. This year, Imagine A Center for Coping and Loss took the top spot. We were once again humbled to see the level of participation. Our entire team is proud to live, work, and serve in our beautiful communities, and we are extremely grateful for the opportunity to make a difference in your life.